Kochi: The Tobacco Board, the government trade promotion body, is to submit a Rs125 crore proposal to the government to rehabilitate 2,500 growers who will switch to cultivation of alternative crops as part of a move to reduce the supply of tobacco, chairman J. Suresh Babu said last week. 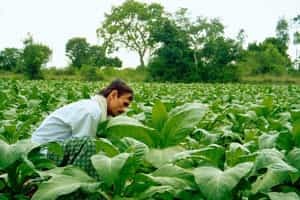 Close to 100,000 people are engaged in tobacco cultivation across the country, and the pilot programme is aimed at moving at least 50,000 workers out of the industry by 2020. The plans for the project are in the final stages of completion before being submitted later this month to the government for funding. The programme will offer Rs5 lakh to each barn, or curing structure, where the green tobacco leaves are dried and cured to produce flue-cured Virginia, or FCV, tobacco that is used by the cigarette industry. A barn cures between 3,500kg and 4,300kg FCV annually. The board will propose staggered payment spread over at least three years to ensure that the growers do not renege on the agreement after receiving the amount. The project hopes to bring in farmers under a cluster of 400-500 barns in an area since this will make implementation of the programme easier, Babu said. Since tobacco is a rain-fed crop and can grow in less fertile areas, the board will also involve agriculture universities and research centres to look at alternative crops that the farmers can take up, such as Bengal gram, oil palm and chillies. However, the board proposal addresses only a small section of the roughly 650 million kg of various types of tobacco produced annually. The board’s activities are restricted to a small portion of the 270 million kg of FCV produced annually. Other varieties used for chewing, hookahs (traditional water pipe) and medicinal purposes are outside the board’s purview, Babu said. The move to reduce supply also comes at a time when tobacco prices are on the rise. In Andhra Pradesh, prices have gone from Rs47-50 a kg to Rs84.75, while in Karnataka FCV fetches Rs105 a kg, almost twice the Rs59 last year.